Their’s been a lot of new reveals happening at PAX West this weekend, and BioWare is the next developer to add to the hype train. 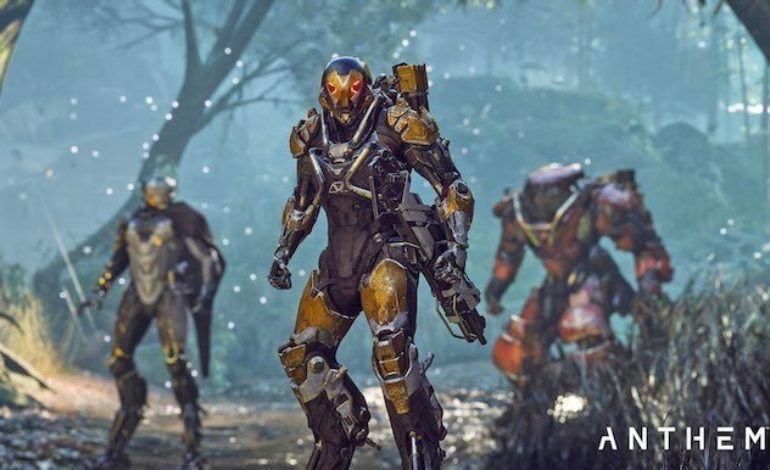 During their PAX West Panel, the company announced that their upcoming sci-fi game, Anthem, will be receiving a Demo on February 1, 2019 for those who pre ordered the game, and for anyone who is a member of the EA Access/Origin Access on the Xbox One and PC respectively. In addition, BioWare also revealed a new gameplay trailer for Anthem, with the developer describing it as a combination the shared online experience with the rich story telling of a single player one. BioWare appears to be appealing to their longtime fans of the Mass Effect and Dragon Age series by promoting the online game as a “shared experience.” However, by doing this, the company has put themselves in a precarious situation. Can they make an online multiplayer game with a rich, immersive, plot that will leave player speechless once they’ve gone through it? The developer thinks they can, and it shows in the new trailer they unveiled. With a narrative in the background detailing the specifics, the gameplay showcases players fighting off enemies, monsters, and flying through the terrain of the world. Not all that different from the E3 2018 trailer, but here’s where it changes. Players will also hear different dialogue during these segments, making each experience for every player unique to their own story. BioWare has taken on a huge, ambitious, and daring task, and while they are definitely up to the challenge, it still all depends on the success of the final product. Their is still some time left for them to work this interesting online story multiplayer game, lets just hope they make the most out of it. Anthem releases on February 22, 2019 for the PlayStation 4, Xbox One, and PC. As mention earlier, the Demo will release on February 1, 2019 for the aforementioned platforms, but only if you pre order the game, and/or part of EA Access/Origin Access.